As your local Nissan dealership serving the areas of Springfield, Chicopee, Holyoke, Westfield, MA, and Enfield, CT, we want to make sure you leave our showroom with the new Nissan model of your dreams and a smile on your face. From the moment you walk in, you’ll notice our staff is professional, courteous, and helpful, and we’re all committed to making sure your experience shopping with us is truly exceptional. Whether you’re looking for a Nissan car, SUV, or truck, our inventory has a wide selection to choose from, and for the Springfield drivers who want to make their budgets go even further, check out our specials page and pre-owned vehicle inventories for some great deals. If you’re on the hunt for a new car, SUV, or truck anywhere from West Springfield, MA to Enfield, CT, we’d like to invite you to swing by our West Springfield showroom to explore the excellent selection of new Nissan cars, SUVs, and trucks available here at Balise Nissan of West Springfield. Here you’ll find the standouts of the 2018-2019 Nissan lineup, like the fan-favorite Nissan Rogue, capable Nissan Pathfinder, widely popular Nissan Sentra, Altima, and Maxima, or the lean, green Nissan LEAF. Of course, finding the new Nissan car of your dreams is only the half of it, the next step is visiting with our friendly finance department to go over which auto financing solution is right for you. Whether you choose to finance your new vehicle with a new car loan or you opt for Nissan lease, you can be confident our expert finance team will work with you to find the right solution for your unique needs. If you’re ready to hop behind the wheel of one of our outstanding new or pre-owned Nissan models for a test drive, you’re invited to come see us in our beautiful showroom, located conveniently for drivers from Springfield, Chicopee, Holyoke, Westfield, and Enfield, CT on 500 Riverdale Street, West Springfield, MA. Of course, once you roll off our lot with your new Nissan, we hope you’ll keep coming back to see us in our state-of-the-art service center for any service and maintenance needs you may have. After all, your new Nissan should stay in like-new condition for miles and miles to come, and we want to help you keep it that way. 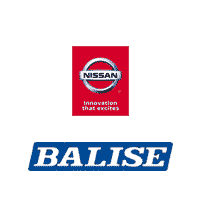 Come see us soon and experience the Balise Nissan difference. You’re bound to see a Nissan Altima on the roads of West Springfield or Springfield, and it’s clear to see why. Predictive forward collision warning and automatic forward emergency braking both come standard with any trim level you choose. Not only can the Nissan Armada tow up to 8,500 pounds when properly equipped, but it also has 1,724 pounds of maximum payload capacity. Jump inside and you’ll find a spacious and comfortable interior, and an eight-inch touchscreen system. If you’re in the market for a pickup truck, we have the Nissan Frontier available now. The Frontier has a full-length, boxed ladder frame which was designed for performance on or off the road. Its body is crafted with impact-resistant materials that are very durable. The Nissan Leaf runs on a 100% electric drivetrain. It’s a great vehicle for Westfield, Holyoke, and Enfield drivers who want to take stopping for gas out of their routine. The Nissan Leaf is easy to charge and now you can travel up to 40% more range. The Nissan Maxima gives you the best of both worlds – a sporty vehicle and a practical 4-door sedan. Under the hood, you will discover the 300 horsepower 3.5-Liter 24-Valve V6 engine. Put the Maxima from the Drive Mode Selector to Sport and you will be pleasantly surprised. For those scorching summer days, the Nissan Murano lets you keep your cabin cool thanks to the the Remote Engine Start System with Intelligent Climate Control. You can set the temperature of your SUV before climbing inside. Families across New England will love everything the Nissan Pathfinder has to offer. To keep everyone safe, the Pathfinder features an Anti-lock Braking System, which pumps the brakes quickly if an emergency braking situation occurs. When you think of Nissan SUVs, chances are the Rogue comes to mind. A, eye-catching front grille, LED Daytime Running Lights and available LED headlights make up the sculpted aerodynamic body. 18-inch aluminum alloy wheels for a more athletic appearance. Smaller than the Rogue, the Nissan Rogue Sport still has a lot to offer, so don’t let its size fool you. With the Divide-N-Hide® Cargo System, you will still have plenty of room for groceries, luggage, and anything else you need to bring. This compact sedan offers plenty of head and legroom, even for adult passengers sitting in the back seat. In fact, the Nissan Sentra has 111 cubic feet of interior space. There is also a great amount of trunk room with the 60/40 split fold-down rear seats. The Nissan Titan was made for the job site. Tow-haul mode and trailer sway control work together to make a smooth and confident towing experience. It’s all powered by the massive Endurance® 5.6-liter 32-valve V8 gas engine. The Nissan Versa Note is one hatchback you’re going to need to test drive. The best part is, you can express your personal style with a variety of cool color combinations thanks to the Versa Note Color Studio.